So your company is making its way to a trade show. Great! You’ve already invested in a 10×10 booth, but you’re concerned about how to make it stand out from the crowd. Of course, everyone else is trying to do this, so you need to be creative in your approach. What you need is some outside-the-box, small booth ideas that can deliver results. Come to Terms with the Dimensions. Before diving into the different small booth ideas, we should quickly discuss dimensions. A 10×10 booth is relatively small, but that doesn’t mean its impact at the trade show has to be small. By accepting and working with what you have, you can still fit big things into a little package! Your main task is making your booth visible to everyone at the trade show. You want people to be able to see your booth and to also instantly know what you are all about. A 10×10 booth can be a wonderful opportunity to get your brand, products, and services out there in front of the people that matter the most in your market. You can start by doing research into what other companies have been able to achieve with these dimensions, or you do it the easy way by getting advice from professionals who specialize in this area. Making the Most of Your Booth. Obviously, your branding is important, but making it really pop in a small area might require being creative. How about trying something interactive that uses advanced touch-screen technology? By using screens to encourage interaction, people will be more inclined to learn about your brand and what you do. Looks aren’t everything – try engaging all of your visitors’ senses. That can mean having compelling audio, something visitors can touch, or – if you really want to get creative – you can even try using taste and smell can pull people into your booth! Each component will act as a trigger, and will help to push your brand into their memory. This can be applied no matter what size your booth is, making it a perfect solution for a 10×10 booth. 3. Designs and Your Product. The best small booth ideas find ways to reflect the product that is being marketed. Colors can match your brand, product samples can be displayed, or you can combine both make the maximum impact. 4. Remember the Base and Quality of the Booth. 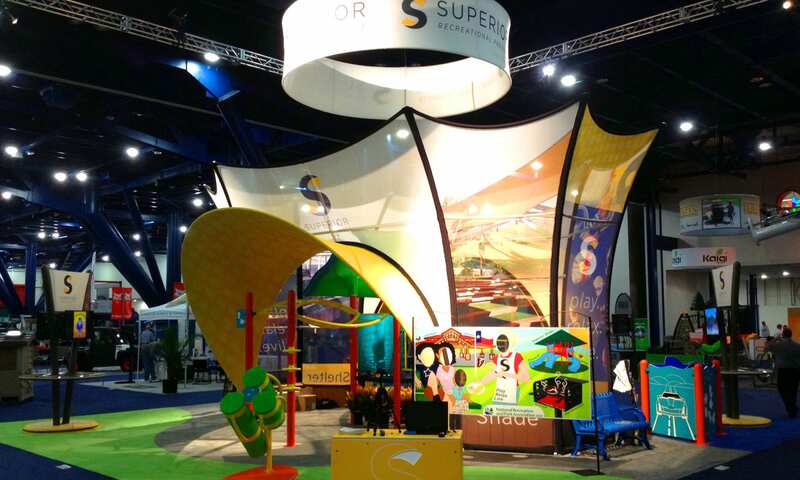 Your booth is going to be a representation of your company, so a cohesive, well-thought-out design will help you make a great impression on your visitors. Consider replacing the floor with something other than standard carpet. High-end carpeting with upgraded padding can make your space much more comfortable and inviting for employees and visitors alike. Also, it is a good idea to have high quality graphics and impeccable finishes – and make sure that everything works! At Evo Exhibits, we stage every exhibit at our location prior to the show to minimize any on-site surprises. That attention to detail will help further the notion that you are a company that knows what it is doing. 5. Get Inspiration from Marketing. Since you’ve already used various forms of marketing, the graphics, colors, and style of branding should be decided already. So make sure you’re applying these brand standards to your trade booth design. This sense of continuity will leave an impression on your visitors. These small booth ideas are not set in stone, but they should serve as an inspiration for helping you find what works best for your brand. Keep in mind that there is no requirement to do this all on your own – there is a lot professional help and advice out there! By getting some advice from a company that specializes in helping design trade show booths, you will be able to avoid some of the most common errors that companies make. Just as you would seek advice and assistance from a web design company for your website, it always help to seek help for the design and layout of your booth. Be aware of the limitations with this size of booth. Make your booth as attractive as possible by creating interaction. Use as many senses as possible in your design, layout, and items in your booth. Branding continuity is key with your design, ideas, marketing. 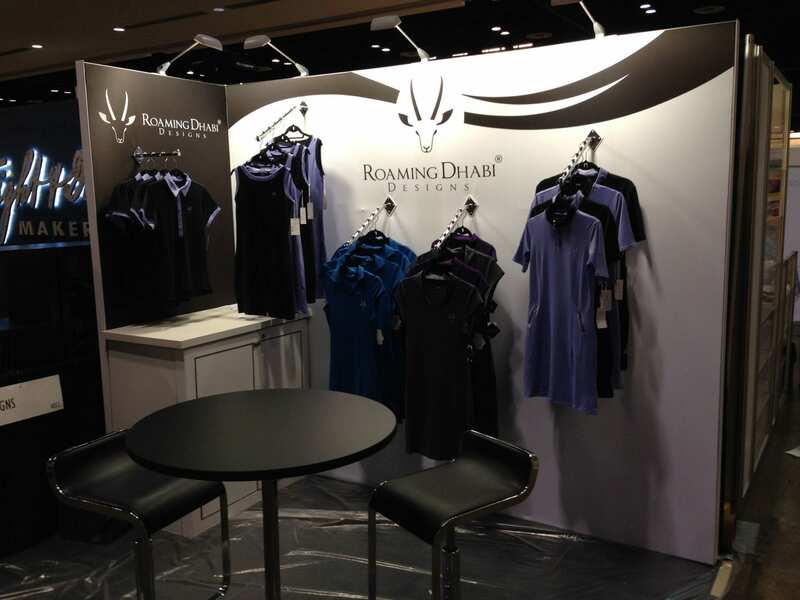 Create a quality booth that reflects positively on your company. Representing your product with 10×10 is a booth is challenging one. Being creative and managing the space with attractive designed graphics, quality booth, color of graphics, engage customers with compelling audio,stylish carpet or trade show flooring etc, Indeed a very useful infomation! !